The last theater production I saw was in fact, the Shakespeare in the Park’s version of The Tempest. It was a boiling hot, incredibly humid June evening when we stumbled into the Delacorte theater in the middle of the park, ready for some culture. For a first viewing of Shakespeare’s debatably last play, it was a dramatic setting. The air, heavy with moisture made the audience feel as if they were truly sitting on a desert island. It was the best and worst part of the production. This entry was posted in Performance and tagged Ariel, Prospero, shakespeare, Shakespeare in the Park, The Tempest on August 19, 2015 by . Al Pacino portrays Shylock in three different settings in the twenty-first century: once in the film The Merchant of Venice (2004), once through the theatrical program Shakespeare In The Park (2010), and once on Broadway in The Merchant of Venice (2010). While there are many interpretations on the Shylock character from Shakespeare’s The Merchant of Venice, it is less common to have one actor performing the same character in different medias. 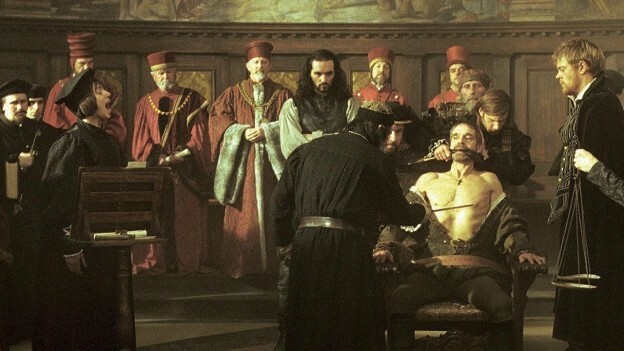 Pacino’s portrayals of Shylock illuminate not only the complexities of this multifaceted character, but also elaborate on a common Shakespearean controversy; is Shylock a sympathetic character or one imbedded in the anti-semitic culture of Shakespeare’s Venice? This entry was posted in Performance and tagged Al Pacino, Film, Greed, Jewish, Money, Shakespeare in the Park, shylock, Stereotypes on July 13, 2015 by .